Dedication, honesty, and hard work are critical in Andrew L. Kong’s approach to helping you achieve your real estate goals. He always puts his clients’ needs and best interests first, priding himself on giving him all throughout the transaction. In Chinese culture, home is the most important thing before all else. Specializing in Residential Sales, Rentals and Investment Properties, Andrew has considerable knowledge of Brooklyn and the boroughs, including Flushing and Elmhurst in Queens. Andrew’s strong international background helps him understand the concerns of a client’s relocation or move to a new neighborhood. 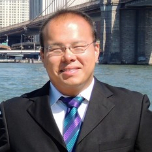 Andrew L. Kong was born and raised in Long Island, New York. Before becoming a real estate agent in Brooklyn, Andrew studied music performance & education at CUNY Brooklyn College, completing the Bachelors of Music in 2013. He studied viola under renowned violinist/violist Masao Kawasaki who also teaches at a prestigious music school, Juilliard School of Music. During his years in college, he had the privilege to perform in orchestras and chamber ensembles all around NYC. During the last few years, Andrew also received a Certificate in Construction Management and an Associate in Interior Design. Andrew comes from a family of architects, engineers, and general contractors all of them in which focuses primarily within NYC. Prior to becoming a real estate agent, he had experience working for kitchen & bath design companies and architecture firms. He has all the skill sets and contacts that any investor would need to be successful. He has great relationships with mortgagees, lawyers and insurance agents. Besides being a real estate agent, him and his longtime friend and business partner Mr. Chau Fu has their own insurance agency, PGDA Insurance Inc., which takes care of all residential, commercial and automobile needs. Fluent in English, Cantonese, Mandarin, and Fuzhonese, Andrew is always on the pulse of the market’s latest trends and conditions. He provides unparalleled expertise, service and guidance to his clientele, to ensure that their real estate endeavors are seamless and profitable.